What Is the Healthiest Cut of Steak to Eat? Are Refried Beans Starch or Protein? 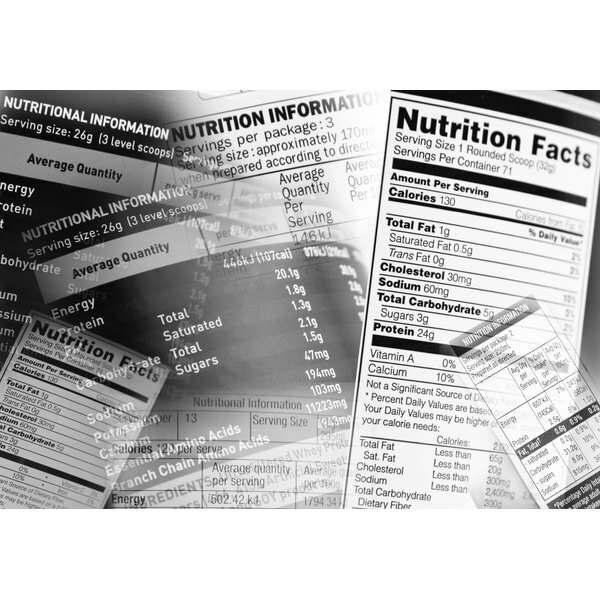 If you've ever glanced at the nutrition information panel on a food package, it's right there below the calories: Total Fat. It's the first thing some dieters check before choosing a food, but many take an over-simplified view of the figure. A high corresponding number doesn't necessarily mean that the food is unhealthy, and a low number doesn't mean a food is healthy. It's all about the breakdown of the total fat content. The total fat content of a food is the grand total of all the different fats in a single serving. This number is important because fat has 9 calories per gram -- more than twice that of carbohydrates and proteins. This means that a high total fat content can put you over your calorie allowance much more quickly than a high carb or protein content. That's why a low-fat diet can help you lose weight -- because you can eat a lot more low-fat food without racking up the calories. But not all fats are created equal, and the breakdown below "Total Fat" is the important part of the figure. The U.S. Food and Drug Administration requires producers to include the saturated fat and trans fat content on the nutrition label because these fats have a negative effect on human health. Saturated fat is found in meat and dairy products, and is usually solid at room temperature -- you can see it in the marbling in your steak or a stick of butter. Trans fats are man-made fats produced by adding hydrogen to plant fats -- you'll see them listed on ingredients labels as "partially hydrogenated oils," and they are frequently found in margarines and packaged baked goods. These fats can raise your risk of heart disease by increasing your cholesterol levels, and may also increase your risk of diabetes. Keep your saturated fat intake below 10 percent of your total calories and avoid trans fats entirely. The good fats are monounsaturated and polyunsaturated fats. These fats can lower your risk of heart disease by decreasing your cholesterol levels, and they help your body absorb fat-soluble vitamins. The U.S. Food and Drug Administration does not require these fats to be listed separately on the label unless the label makes claims about beneficial effects on cholesterol levels. Subtracting the saturated fat and trans fat content from the total fat leaves you with the "good" fat content. The "good" fats are usually liquid at room temperature, and include vegetable and nut oils as well as the fat found in fish. Many dieters make the mistake of automatically choosing the "low-fat" option, but that's not always wise. Foods that are naturally low in fat, like fruits and vegetables, are smart choices. But packaged foods with "reduced fat" claims often have hidden surprises. The fat provides much of the flavor and texture of many foods, and producers must replace it with something to avoid affecting the finished product. In many cases, the replacement is additional sugar or sodium, both of which can negatively impact a diet as much as fat. Compare the low-fat version to the full-fat version -- sometimes, the low-fat version may have more calories, and it often has more sugar and sodium. When neither the low-fat or full-fat version seems to be a healthy choice, it's best to skip that particular food entirely.